RCMP in North Vancouver B.C. are removing the yellow stripes from their uniforms in protest of being without a contract, and to encourage members to form a union, says Cpl. Bryan Mulrooney. Mulrooney encourages members to either rip the yellow stripes out at the seam of their pants or wear navy blue cargo pants despite a sudden announcement late yesterday that pay will be raised for officers for the first time in two years. “This has been in the works for a few weeks now, there’s a group that sat down over lunch one day, and thought how can we sort of light a fire under people and get them on board with this,” said Mulrooney. 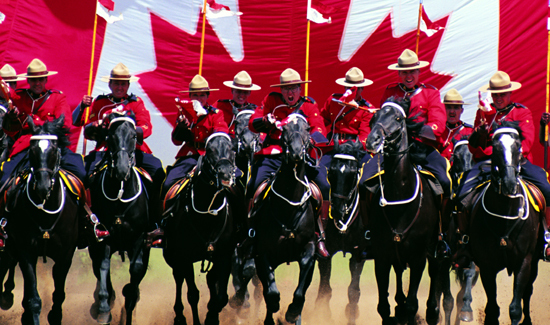 Some RCMP members have been lobbying to form a union after winning the right to do so two years ago. They are frustrated by pay levels, blamed for driving fresh recruits to join other police ranks. Anger was touched off in February when they learned top brass received $1.7 million in bonus pay. Mulrooney says that nearly everyone in the North Vancouver detachment has agreed to remove their stripes in solidarity, and talk has begun in other detachments. He says the goal is to get officers across Canada participating until they get a fair wage package. 1 Comment on "Mounties Demand a Union & Contract"
I’ve been through the early days of formation of Police Unions. It’s a necessary process if fairness and equity is to occur. I have served as Police union President; formed and represented Police Unions as an attorney. I am now retired from both the Police service and representation of unions as an attorney. RCMP go for it! Your right and unionization is long overdue.